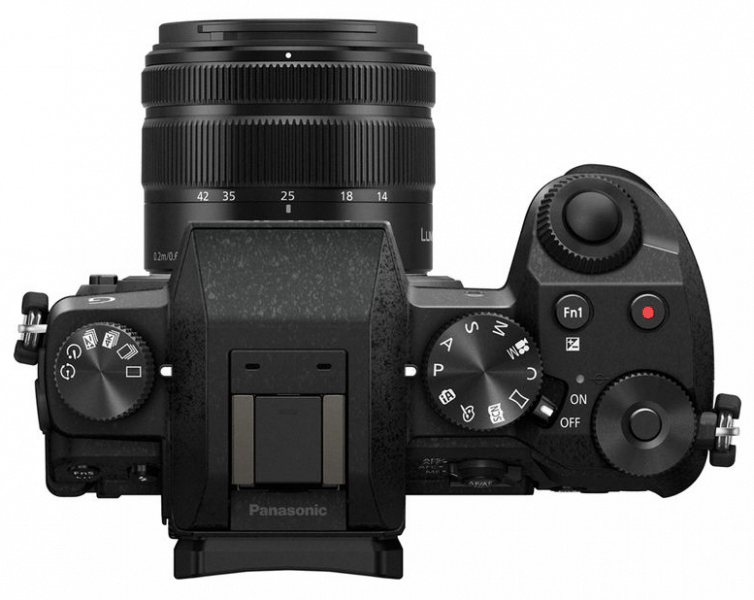 Panasonic has come with yet another model for its midrange enthusiast interchangeable lens line with the new Lumix DMC-G7 camera. Powered with a reconfigured Venus engine that ensures high quality images with a very fast signal processing, the Lumix DMC-G7 offers speed and quality for an affordable price. It is also capable of capturing stunning and sharp images under low light environments due to its high quality noise reduction system. Moreover, this mirrorless camera captures native 4K UHD videos and equipped with a 4K photo capture mode that lets the user transform a frame from a 4K video into a JPEG that is pin sharp. The body design of Panasonic Lumix DMC-G7 looks like a smaller version of a DSLR camera and has control points similar to a mid-range DSLR. Its compact size makes it more manageable and easy-to-handle. Just like SLR cameras, its body is slim and has sharp angles. The grip is deep that it can be operated even with one hand. As for the viewfinder, it is located where EVFs in DSLRs are.lts EVF has dimensions of 3.4 x 4.9 x 3 inches and is lightweight at 14.6 ounces without the lens. It is also designed with two control dials, buttons and switches. This Micro Four Thirds camera comes with integrated 4K recording capability as well as 4K photo modes. It is able to capture 4K UHD footages at 3840 x 2160 with frame rates of either 30p, 25p or 24p at 100Mbps, 1080/60p, 50, 25p at 28Mbps and in MP4 format. The G7 also features an image sensor that boasts of 1 megapixel Digital Live MOS, ISO 100-25,600, continuous shooting at 8fps, vari-angle touch screen 3-inch display, dual OLED Live View Finder that is high-speed, AF that is fast at 0.07 seconds as well as mechanical and silent electronic shutters. The G7 is also loaded with controls that can be quite challenging to beginners but it also comes with an automatic setting. 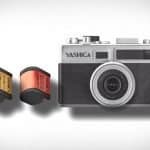 Situated at the left side of the pop-up flash is a dedicated dial that is for the Drive Mode and the other settings, including positions for the 4K photo mode, automated exposure bracketing and interval shooting for time-lapse photography. For connectivity and file sharing, the G7 can be used with iPhones while for Android users, files sharing can be done through NFC connectivity. Moreover, it comes with an app that lets the user send copies of JPG images and 1080 videos to smart devices with the exception of 4K videos and raw images. And while full manual adjustment is possible, the app also converts the smart device into a remote control where the user can also set the focus point via the phone by simply tapping on the Live View feed shown. It does not have built-in GPS but the app also lets you create a location log that can sync the time between the camera and the phone. This will make it possible to add location and time on the images on the memory card through wireless connectivity. Other features include audio in stereo sound, microphone connectivity, tilting display, a memory card slot and battery life can last up to 360 shots. 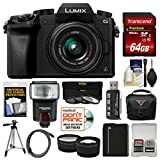 The Panasonic Lumix DMC-G7 is fairly priced, given its features and the quality of the images and videos it can deliver. It has dual control dials, Photo mode and a built-in EVF. It is also fast as opposed to its contemporaries that it can start, focus and shoot in less than a second. Also, its 4K Photo mode allows for faster shooting. The body design is also nice and durable while the grip is comfortable to hold. It also has a long recording time of almost 30 minutes. For its cons, the buttons might not be easy for beginners in photography to operate and the body gives a feel of plastic material. It also has its limitations such as not being able to share 4K videos and raw images. Moreover, its tracking focus somehow slows its burst rate. As for file sharing, only iPhone users can take advantage of direct WiFi connectivity while Android phone users have to rely on NFC connectivity. 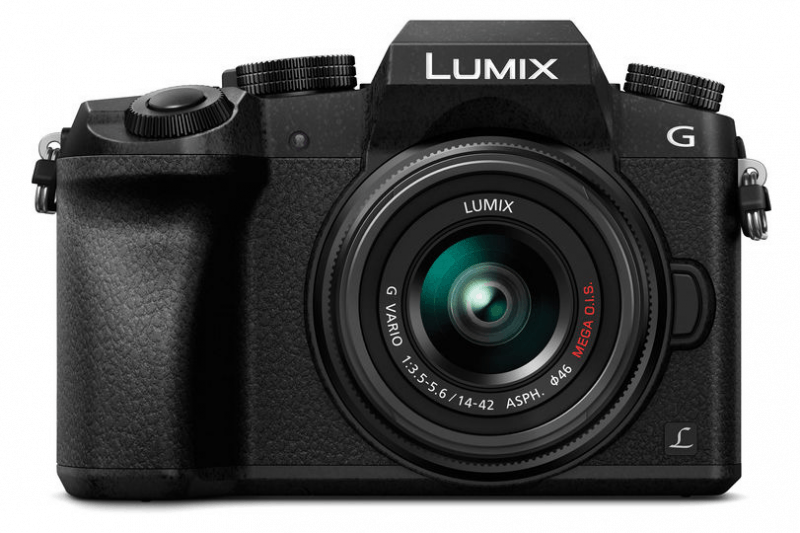 Overall, the Panasonic Lumix DMC-G7 has a competitive price and is bundled with many features. This camera is perfect for travelers who are looking for a mirrorless camera with the feel and look of a DSLR. It also has an extensive Micro Four Thirds Lens System that makes it more appealing. Despite its limitations, the G7 is still one of the best cameras in its class. INTERCHANGEABLE LENS-1 Lens Name LUMIX G VARIO 12-60mm / F3.5-5.6 ASPH. / POWER O.I.S. NOTE – Use a card with SD Speed Class with “”Class 4″” or higher when recording motion pictures. NOTE – Use a card with SD Speed Class with “”UHS-I / UHS-II UHS Speed Class 3 (U3)”” when recording motion pictures with [MP4] in [4K] or [4K PHOTO]. NOTE – Maximum time to record motion pictures continuously with [MP4] in [4K] is 29 minutes 59 seconds. NOTE – You can continuously record a motion picture with its size set to [4K] in [MP4] or [4K PHOTO] without a pause even if the motion picture exceeds 4GB. However, the recorded content has to be played back as multiple files. NOTE – Maximum time to record motion pictures continuously with [MP4] in [FHD] [HD] [VGA] is 29 minutes 59 seconds or up to 4 GB. NOTE – Maximum time to record motion pictures continuously with [AVCHD] is 29 minutes 59 seconds in Europe. NOTE ** For [4K] video output, use an HDMI cable that has the HDMI logo on it, and that is described as”4K compatible”.